Teaching – Annette Joseph-Gabriel, Ph.D. 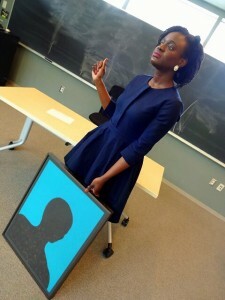 I teach courses in contemporary francophone literature and culture, and writings by women in the African diaspora. My goal in the classroom is to empower students to make connections between course materials and their own experiences. My teaching, like my research, is highly interdisciplinary, drawing on tools and methods from literary studies, history and digital humanities. Select one of the submenus to see an overview of selected courses or a video recording of a lesson.